Business activities within the University and its environs have picked-up again after the six-month strike embarked upon by the Academic Staff Union of Universities (ASUU). 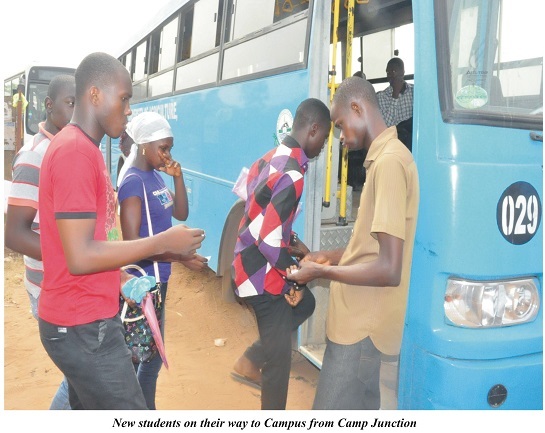 According to Mr Alaba Oloye, a commercial cab driver that shuttles between Camp and the University campus, “there has been 300 per cent improvement in the driving business now unlike during the strike, we hardly make up to a Thousand Naira gain after the day’s work but now, we make up to N3, 000.00, even after fuelling our cars for the day”. He added that they received the news of resumption with jubilation, as he described the strike action as a bad omen that rendered people and their businesses useless and thanked the government and ASUU leadership for reaching agreement on the issue, as many businesses had folded up during the protracted strike. 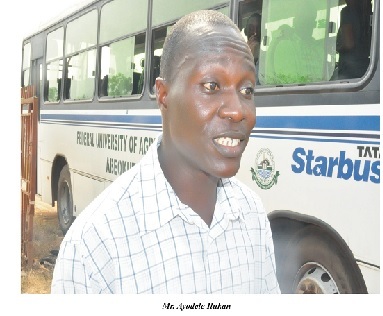 Mr Ayodele Ilukan, a bus driver, attached to the University’s Management Committee on Transportation (MANCOT), stated that before now, silence had pervaded the environment, which had adversely affected the people and businesses. 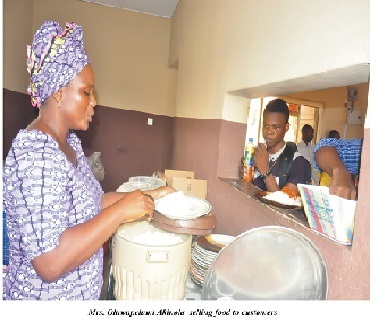 Expressing her joy, Mrs. Oluwapelumi Akinola, who runs the Pelumi Food Canteen, FUNAAB, said she was happy that her sales had risen by 70 per cent after resumption. She thanked the government for heeding to ASUU’s demands and pleaded that such strike should be averted in future. However, Ms Oluwatomisin Aina of Dazzles Saloon said her business was yet to pick up because most of the female students had made their hair from home before resumption, but she was hopeful that the situation would change, in a matter of weeks. Efforts to reach owners of some business centres proved abortive, as many of them were busy attending to a number of students rushing to make photocopy of documents, spiral binding or typesetting, a trend which was completely different from the past, when most of such shops were locked up as a result of low patronage.